Junior Lone Star FC is pleased to announce that Floors USA and Slumlife Entertainment have been added to the growing list of sponsors for the 2017 National Premier Soccer League season. With the 2017 National Premier Soccer League (NPSL) season in full swing, Junior Lone Star FC is pleased to announce its first-ever corporate jersey sponsor: Piayon Lassanah, Attorney-at-Law. Attorney Piayon Lassanah has signed a one-year deal to be the club’s primary kit sponsor, with his official logo on the front of the team’s NPSL jerseys. Junior Lone Star FC are pleased to announce a sponsorship deal with local clothing brand Nagbe Collection. The deal, announce Wednesday, calls for Nagbe Collection logo to be appear on the back of Junior Lone Star FC jerseys for the 2017 season. Junior Lone Star FC has announced the addition of Charlie Flowe to the First Team staff as a goalkeeping coach. Flowe is currently an assistant coach of Philadelphia University’s men’s soccer team where he primarily works with program’s five goalkeepers. 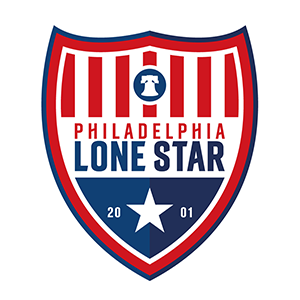 The dawn of a new era at Junior Lone Star FC will begin in about 24 hours at the YSC Soccer Stadium in Wayne, PA when the Stars begin their 2017 season with a preseason match against Bethlehem Steel FC on Wednesday, February 22nd at 2:00 PM EST.